The Co-Chairs of the OSCE Minsk Group (Igor Popov of the Russian Federation, Stéphane Visconti of France and Andrew Schofer of the United States of America) hosted consultations between Foreign Minister of Azerbaijan Elmar Mammadyarov and Acting Foreign Minister of Armenia Zohrab Mnatsakanyan on 16 January in Paris, Trend reports citing a statement issued by OSCE Minsk Group co-chairs. The Co-Chairs met separately and then jointly with the Ministers. 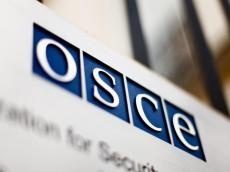 Personal Representative of the OSCE Chairperson-in-Office Andrzej Kasprzyk also participated in these meetings. This was the fourth meeting of the two Ministers. State Secretary for Europe and Foreign Affairs of France Jean-Baptiste Lemoyne reviewed the outcomes of the talks with the participants. The Co-Chairs were received at the Elysée Palace, where they briefed top diplomatic advisers of President Emmanuel Macron. The participants expressed to the Ministers their appreciation for the ongoing efforts of the sides to maintain an environment conducive to intensive results-oriented negotiations. The Ministers discussed a wide range of issues related to the settlement of the Nagorno-Karabakh conflict and agreed upon the necessity of taking concrete measures to prepare the populations for peace. During the meetings, the Co-Chairs reviewed with the Ministers key principles and parameters for the current phase of the negotiation process. The Ministers and the Co-Chairs considered next steps toward a possible summit between the leaders of Azerbaijan and Armenia in order to give a strong impulse to the dynamic of negotiations. The Co-Chairs underlined the importance of possible mutually beneficial initiatives designed to fulfill the economic potential of the region. The Co-Chairs plan to meet the leaders of the two countries in the near future.